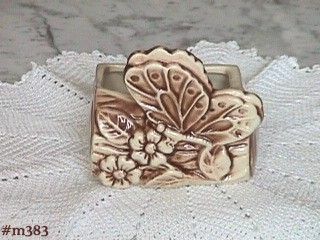 This listing has a mint unused condition Shawnee butterfly planter! It measures 3 3/4" tall and is in a pretty cream color with brown "antiquing" accents. Bottom is marked: 524, Shawnee, USA. Planter looks new and unused!